Falling All Over Again: Lightweight colorful Fall pendant to share your love of the season. 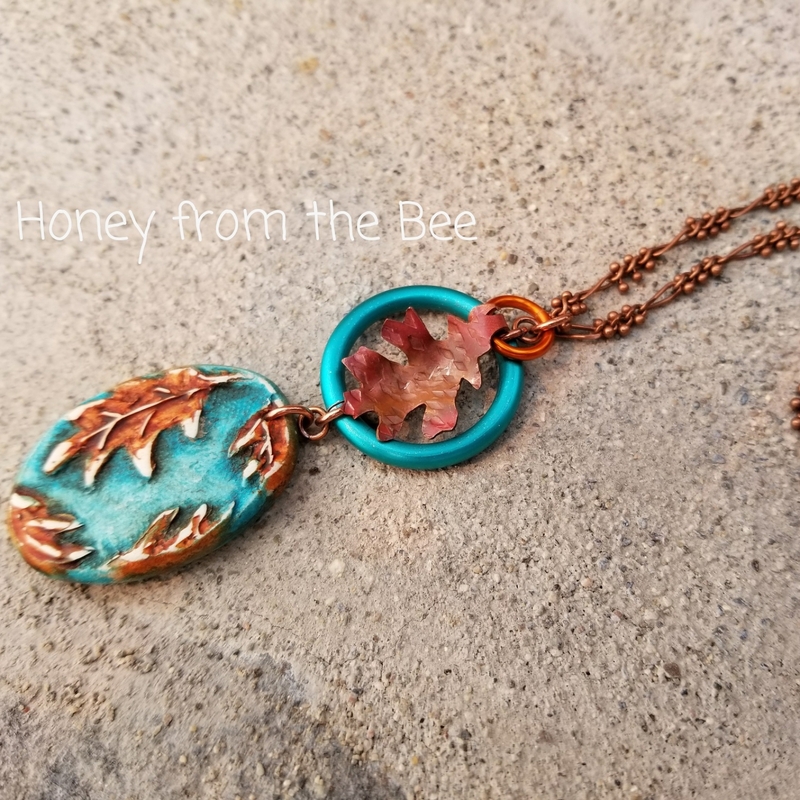 Teal and orange or copper are a favorite color combo of mine. I especially like it for Fall. 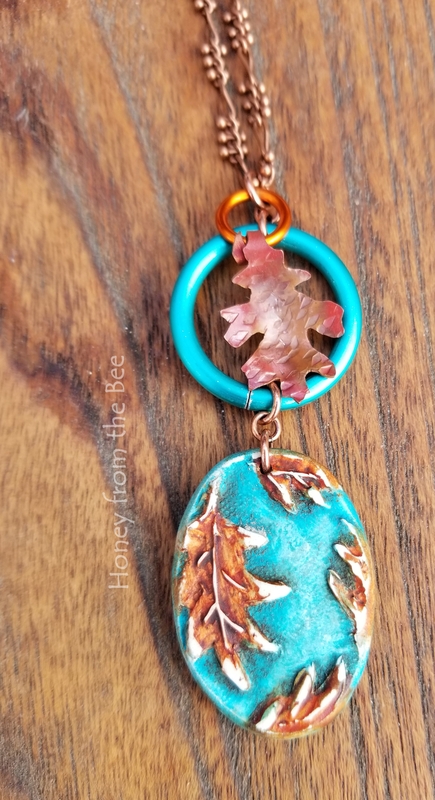 This artisan necklace includes one of my small copper oak leaves sawn from copper sheet and textured and formed. I've given it a flame patina with my small butane torch! Pendant is about 2.75 inches from the top of the bail to the bottom of the oval.